There is no afterlife for a Zombie Teen. 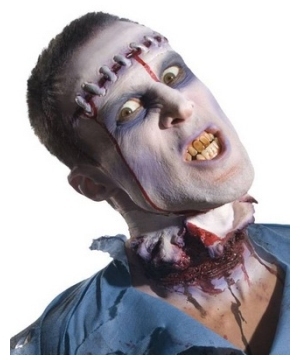 Zombies are known as blood thirsty half-resuscitated demons from the grave, an epitome of Halloween Horror. 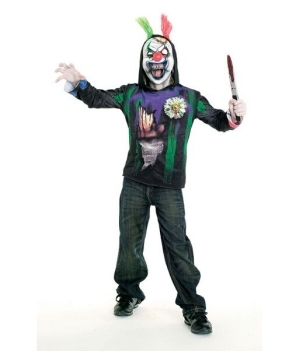 Zombie Teen Costumes have taken the Halloween world by storm with recent movie releases and television shows featuring these terrifying characters. 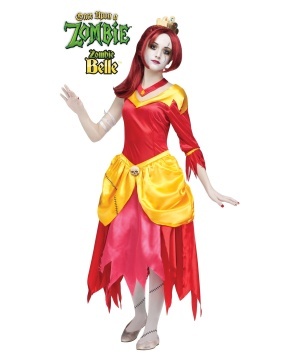 Embody the essence of Halloween in a Zombie Teen Costume that’s sure to distribute thrills and chills. It all started with a 1932 thriller by the name of White Zombie, it is considered the earliest film about these beloved Halloween Characters. Zombie action-drama has come quite far; there are now hundreds of movies about Zombies that appeal to many age groups. However, due to popularity of movie outings among Teenagers, the Zombie Genre has consequently become one of the top cinema interests among Adolescents. 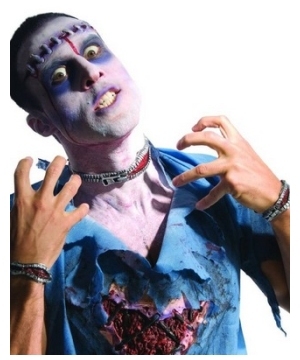 Television Series like The Walking Dead, Movies like Dawn of the Dead and video games like Doom have significantly boosted the popularity of Zombie Costumes for Teenagers. This collection reflects the high demand for undead characters that has come as a result of the Hollywood movement to promote the genre. 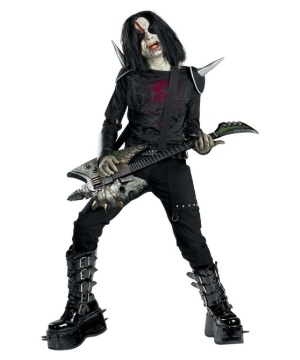 Get yourself in a Rocked Out Zombie Teen Girl Costume that seems like the perfect wardrobe for a heavy metal Ensemble. 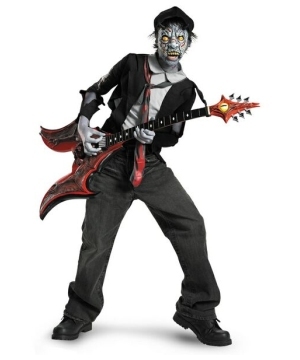 Pair it up with the Metal Mayhem Teen Zombie Costume and start an apocalyptic heavy metal band. You see, Zombies can have professions too. 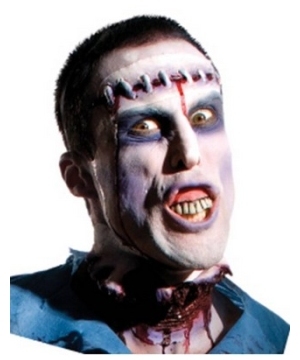 Some Zombies are heavy Rockers but they can have careers in the medical Field. Take for instance the Zombie Nurse Apron and matching hat. 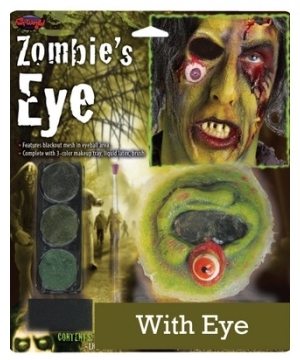 These Halloween Accessories complete your Zombie Costume along with some creative paint work using the Zombie Graveyard Kit and the Zombie Dirt Costume Make-Up. 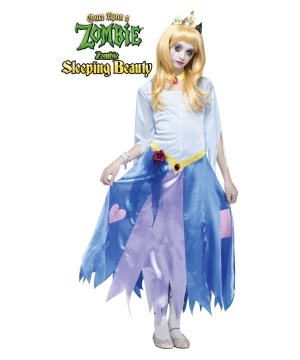 There is Teen Zombie Costume for every taste. 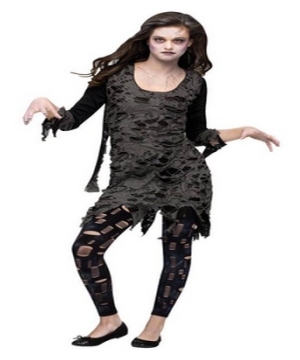 Peruse this unique assortment of Halloween Zombie Teen Outfits that will make you the talk of any Halloween Costume Party. 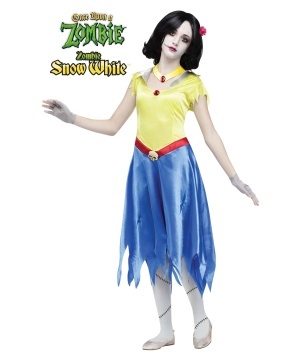 Do not hesitate to inquire if you need assistance finding your Favorite Teen Zombie Characters; there is more than meets the eye at Wonder Costumes.